EA Still Loves Tiger Woods. In a Non-Scandalous Way. Peter Moore wants you to know that EA isn't dropping Tiger Woods from its games. Earlier today, a rumor frenzy seemed to erupt when it was revealed that Tiger Woods wasn't going to be featured in EA's PGA Tour 12: The Masters. Speculation was that this was a sign of EA abandoning the beleaguered sports star after his behavior probably affected the sales of the last PGA Tour game. 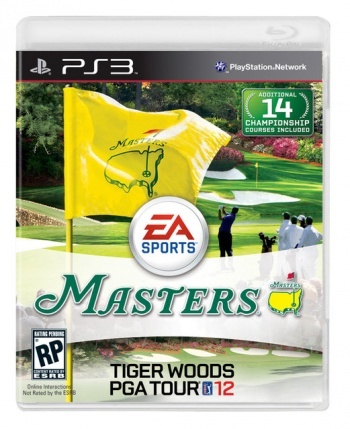 However, it turns out that EA is still standing by Woods and the man will be on the cover of the game. "We like everybody else that's involved with Tiger and the game of golf in general, the Augusta club, are all anticipating a great year for golf this year and Tiger being very important in that. "Obviously it was a difficult year last year, but you saw towards the end of the season Tiger starting to get back to his old ways. We all as both a sports industry and sports fans are hopeful he comes back in full force in 2011. "He is on the PS3 version of the game [Collector's Edition]. Our focus this year for this particular release is the Masters itself. You can see the iconic flag as part of the box art." On top of this, EA is apparently expecting the game to do better than last year's release. According to Moore, PGA Tour 12 will feature a lot of new content that videogame golf fans will love. "Our projections are to do very well," he said.